RAW HOLLYWOOD : GUCCI MANE & TRAVIS SCOTT TEAM UP FOR NEW TRACK "LAST TIME"
GUCCI MANE & TRAVIS SCOTT TEAM UP FOR NEW TRACK "LAST TIME"
Gucci Mane has been playing make up with the fans for the time he was gone. He has been consistent with the music dropping since he became a free man. 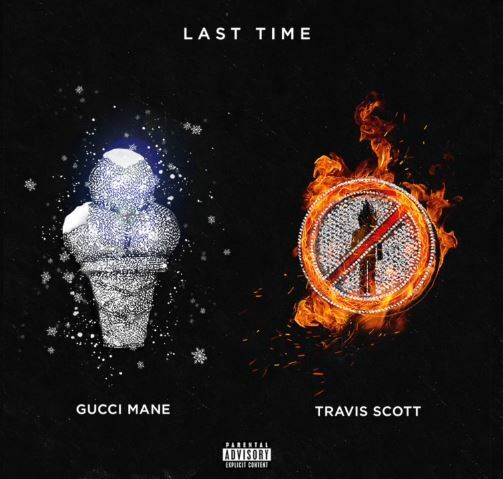 Yesterday, he released this track that features Travis Scott called "Last Time", which is a pretty dope collabo. "Last time" is going to be the first single off of the album Woptober that is currently in the works. Of course Zaytoven produced this track, anything else would not be civilized! Gucci raps about a multitude of things that he did "last time" including that last time he went tricking his cash off. He raps, "the last time I tricked off, I brought 4 heaux to my place. They called me Gucci Mane Picasso cause I painted they face". Then Scott comes with his hook talking about the last time he took pills, and the last time he "smoked gas". The beat is catchy though, take a listen to the song below.